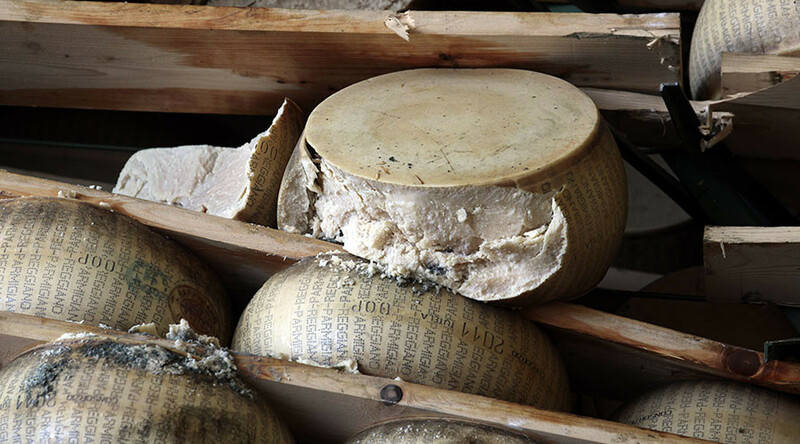 Police in Italy have released footage showing a gang stealing wheels of parmesan cheese in the northern Italian city of Modena. The footage shows the masked thieves hurriedly removing the King of Cheeses from what appears to be a cellar in the city. National police say they arrested ten suspects on Monday during ‘Operation Wine & Cheese’, which was established to stop high-end food thefts. The gang has reportedly stolen around 16,000 bottles of fine wine and 168 wheels of cheese in a string of robberies dating back to 2015. The waylaid wine is said to be worth around €100,000 ($108,000), while the cheese comes in a close second with a value of over €80,000 ($86,500). The ten suspects were arrested in a series of raids on homes and warehouses in the province. In a statement, police said that one of the master criminals had connections to several local farms. The culprit would pass information on to the gang, which would then carry out the culinary heists.